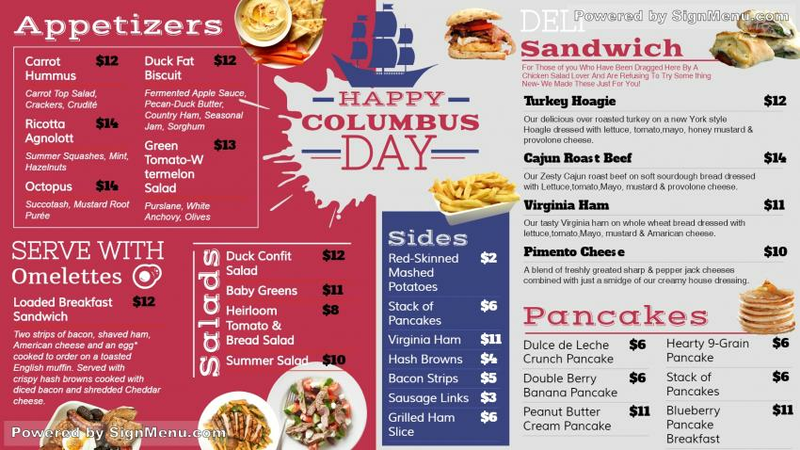 A very trendy Columbus day menu board that Columbus would have been proud of ! The brick red and white colors have been exquisitely used to lend a rare elegance to the board. The caption at the top with the graphics of a ship is really the icing on the cake !. Further, the blue rectangle in the middle highlighting the Sides menu provides a brilliant contrast. All said, a great one this, for a digital platform.